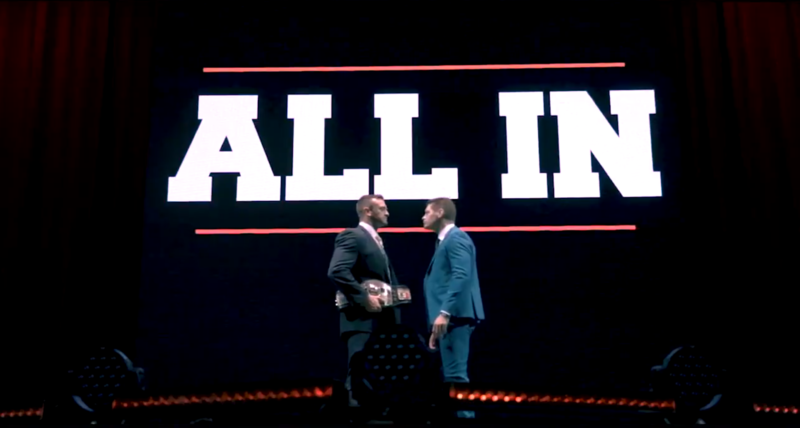 History has been made in the last few months at Cody and the Young Bucks sold out the Sears Center for ALL IN. Today, Ring of Honor and New Japan Pro Wrestling sold out Madison Square Garden. A year ago, William Patrick Corgan and the NWA (National Wrestling Alliance) were in a vastly different place. The Smashing Pumpkins hadn’t reunited yet and the famous Ten Pounds of Gold was not see in the same light it is today. With hardwork and vision, Corgan and team have taken both brands to new stratosphere. The Smashing Pumpkins are currently on a forty-city plus tour across North America and soon Europe. The NWA Worlds Championship is set to be defended by Nick Aldis against The American Nightmare Cody. This episode of NWA Ten Pounds of Gold looks at the journey of the People, Places and Things surrounding the rise of this independent movement with the National Wrestling Alliance, Cody’s pursuit of Dusty Rhodes NWA Title, The Young Bucks, Ring of Honor Wrestling and Madison Square Garden.